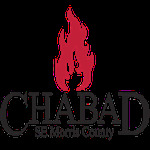 Rabbi Shalom & Aharona Lubin founded Chabad of SE Morris County in 2002. Chabad of SE Morris County is a place where Judaism is celebrated joyfully and meaningfully, where Judaism sheds relevant perspective to our daily lives. With opportunities to expand the mind, excite the heart and touch the soul, our Center offers a wide range of learning, connection and outreach venues, for all ages, where experience is paramount and questions are encouraged and embraced. Located in Madison, NJ, and serving the surrounding communities of Florham Park, East Hanover and The Chathams, our Center is premised on the idea that every individual has an indispensable contribution to make to mankind.